I like to think I’m a good map reader. But sometimes – fairly often, actually – I look at a map and my mind goes completely blank. I can’t work out where the hell I am. 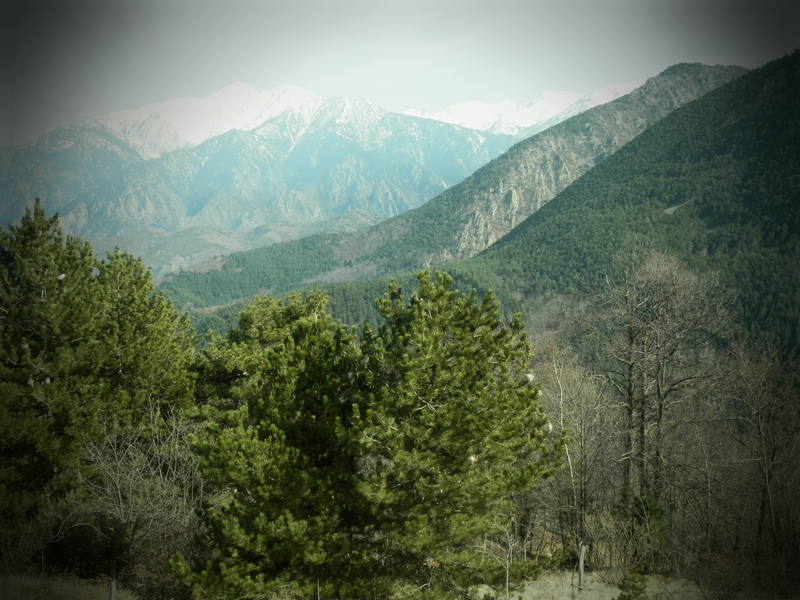 Chris and I are in the Pyrénées. We need to stay low: there’s thick snow once we get above 1400 metres. 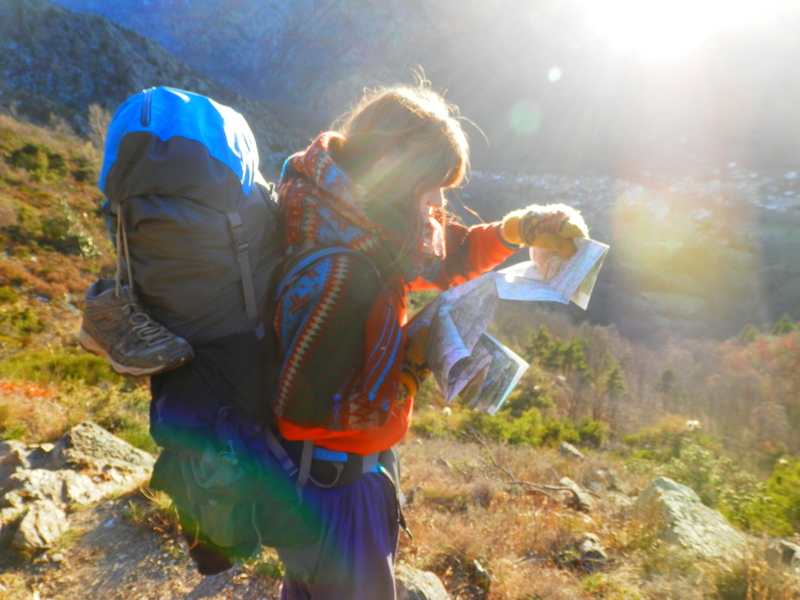 So it’s also important not to get lost, or we might find ourselves camping up on a mountain ridge in a snowy blizzard, completely unprepared. But, of course, we get lost. 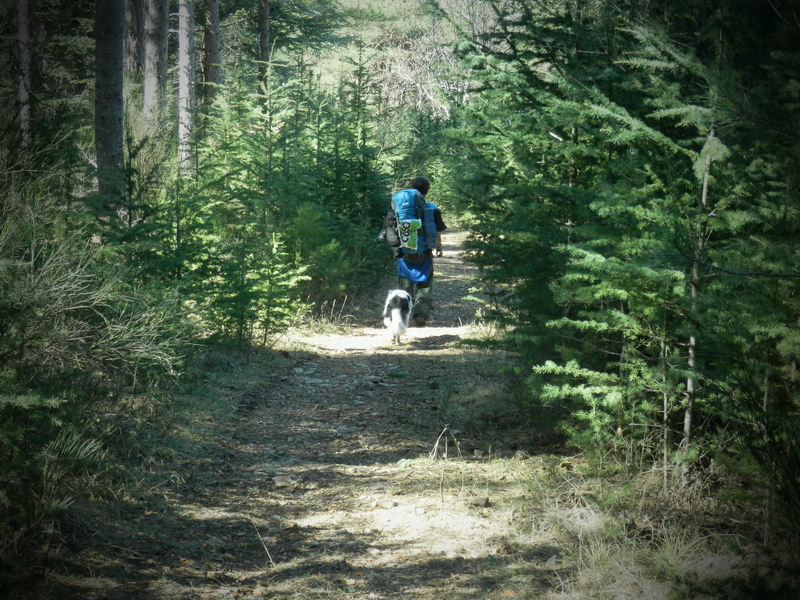 There’s five different trails, some bigger than others, all branching off in different directions. “The map doesn’t make any sense!” I moan. After about ten minutes of pondering where to go, we decide on a track (but we may as well have flipped a coin because I still don’t know where we are). 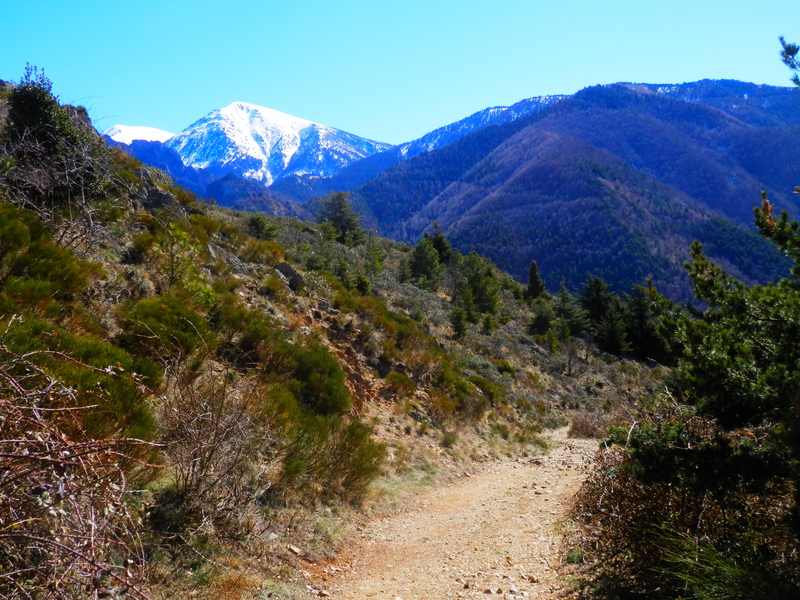 We walk for a few hours, going up up up… Finally I work out where we are (somewhere close to Mont Canigou), and realise, just in time, that we’re on route to the snow. We camp at 1200 metres, and a cheerful Chris muses about how it was great to get lost because the walk has probably been much more beautiful than the walk that we were planning to do. 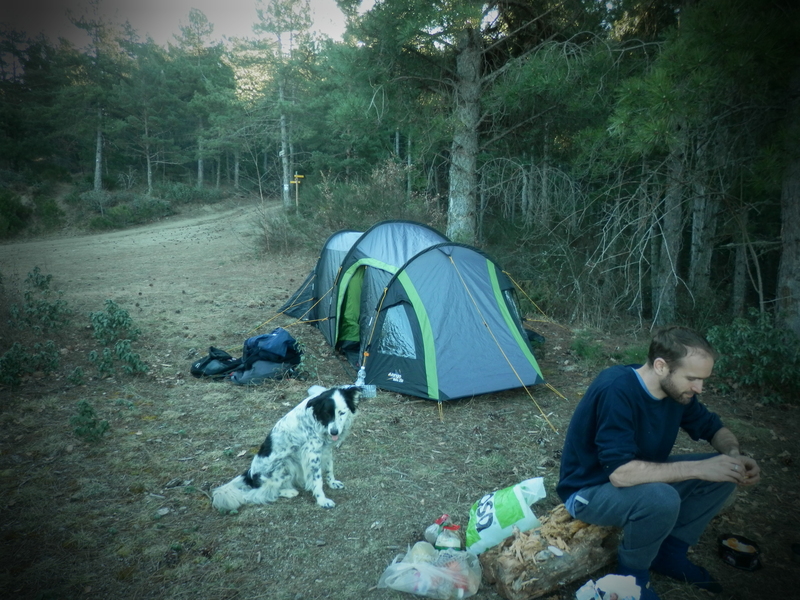 The next day, we continue without getting lost, and we acquire a beautiful dog friend, who walks with us and guards our tent all night. 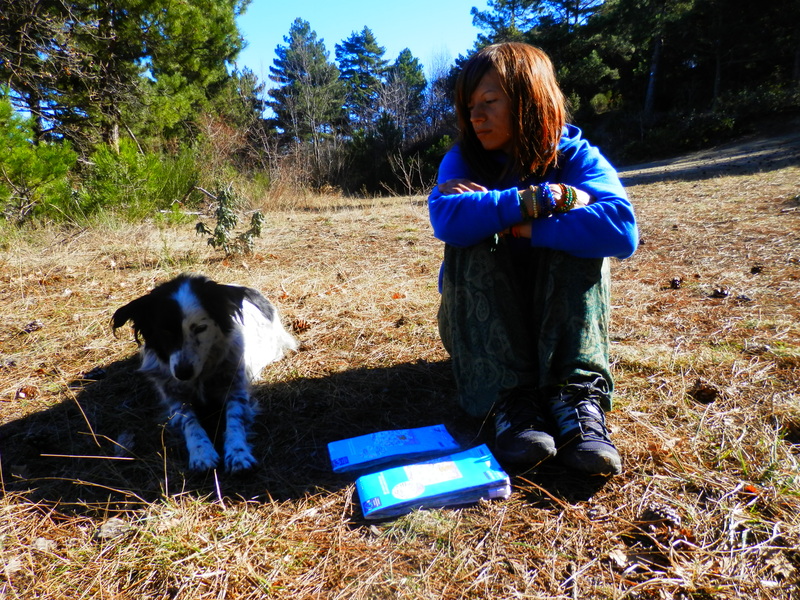 Sitting in nature with the sunshine, maps and a beautiful dog…perfect! Our final few days in France are spent watching my friend Françoise perform in the theatre. She’s written a one-woman play about her travels through Europe and Asia and she’s performing it all over the region. I’m honoured that she has included me in the play! In a two hour performance to a packed audience, Françoise acts out both the beauty and the difficulties of travelling solo, and she inspires women in every town that she performs in. We then hitch towards Germany, and just before we get to the border, we are invited to sleep in our driver Claude’s house. Once again, hitchhiking has enabled us to meet one of the world’s beautiful souls. Finally, we head to Berlin, and I spend the whole time pointing out to Chris what’s been gentrified. Berlin’s definitely changed in the four years since I left (someone even comments to me how there’s Start-up companies everywhere!). But there’s still resistance, especially against increases in rent and the forcing out of residents. As we walk on the streets of Berlin, we run into my Norwegian friend Mats, who I haven’t seen in a couple of years! He’s here on holiday, too, and we spend the night dancing at Sisyphos, whilst reminiscing about our travels together in Iran and Southern (Iraqi) Kurdistan. After a few days of eating lots of vegan junk food, we get on the road again and hitch to Belgium. Our young driver invites us in to his Mother-in-Law’s house, where he’s going to have dinner before supposedly driving further. The Mother-in-Law invites us to eat, but we decline politely, and explain our vegan diet. She’s a vegetarian, so we assume that she will be understanding about veganism, but instead she acts like we have personally offended her. Our driver no longer wants to take us any further, and we leave his Mother-in-Law’s house feeling a mixture of upset, perplexed and angry. But that’s the beauty of hitchhiking: you never know whose living room you will next be sitting in! ← Smile like you mean it and it will be returned!